Poetry Friday: Just Around the Corner, National Poetry Month! Hello, all Poetry Friday contributors! By this time next week, we’ll be three days into National Poetry Month. At this blog, I’ll be sharing the poetry of my students. Over at Deowriter, I am playing with poems that have something to do with nature and have double “L’s” (like my last name). Please consider joining me. Finally Poetry Postcards will go out in early April. You can sign up HERE. Thank you for hosting. I llove that llist of double-l words. Many of my favorites there. I’ll be back! Thanks for hosting, Jone! I’m glad to know it wasn’t just me last week who had trouble making Mr. Linky work on my WordPress blog. I think there is a plugin needed, but I couldn’t figure out how to make it work. I’d love to know how to do it if you find an answer. I love your list of “ll” words. I see a few that could be quite a challenge. I was inspired by Mary Oliver to try to imitate Seamus Heaney’s “Postscript” and I’m sharing the results today. Hi, Jone. I had trouble with the linking widget when I hosted on 3/13. I have an L name, so your NPM project sounds *lovely* to me. What great words! Happy Almost-Poetry-Month, Jone! Thanks for hosting. The poem I’m featuring has a poet with a double-L in her last name, too: I’m in with Laura Donnelly’s poem, “The Carolina Wren,” and some more wren connections. So many fun challenges and festivities next month! It’s going to be a busy time, for sure, but I’ll be printing out your list of prompts with hopes to contribute. (You’ve got some great words on that list!) Thanks for hosting today, Jone. Hi Jone, thanks for hosting. I hope I can drop by and write a little poetry with you next month! I’m also looking forward to receiving my poetry postcard! Wouldn’t be Poetry Month without it! I like your “ll” word challenge too at DeoWriter. Thank you for hosting today, Jone! Double LLs…what fun! I love that you picked that from your name. I think kids would have a blast finding cool name features and running with this idea. Today at The Poem Farm, I have a poem about hand shadow play. 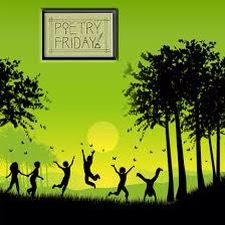 Thank you for hosting today’s Poetry Friday. Yay for the Double L poetry challenge – I LLove it and am right there with you! I’m especially delighted to see Willow on the 23rd – that’s my tree! Jone, although I had trouble linking up today but after 3 tries I finally got it to work. Thank you for hosting. Today, I am offering “Unquenchable Desire for Stillness Fulfilled” that is a closing poem for the Gallery of Winter Whisperings. There are two words in the title with a double LL so I am pleased that I can being the journey with you. My greatest hope is that I can get Winter Whisperings up for National Poetry Month but it is slow going now (just found out I have a torn rotator cuff). I am so excited to receive a poetry postcard. It will be my first. Thank you. Hi Jone! Thanks for hosting 🙂 What fascinating words are on your list! I’ve had trouble with the linky stuff, too, on WordPress. Let me know if you get an answer. I want to join so much in April but am about tuckered out with SOL in March. I may join in a few times. No promises. Hi! I’m new to SOL and just discovered your poetry site. I’d love to know more about how to participate. Anything that has to do with poetry…I’m in! Thank you. Thank you so much for hosting! Happy Poetry Friday to you! Thanks for hosting, Jone! I am also eagerly anticipating this year’s National Poetry Month!